Experiencing issues with your HVAC system? 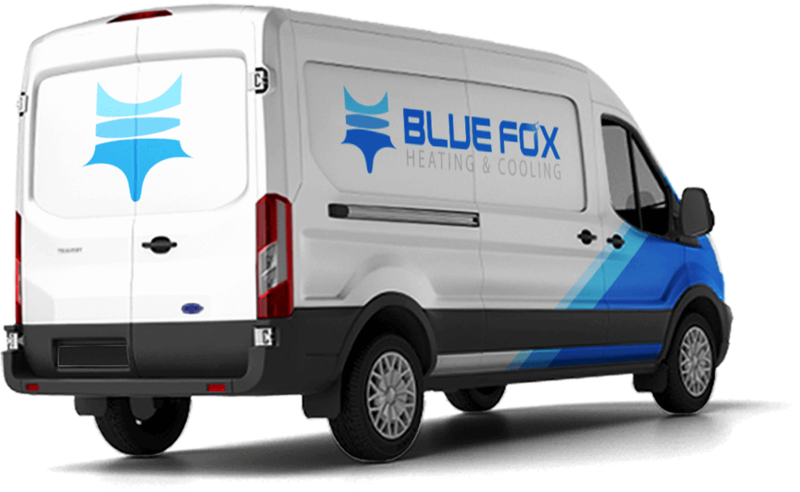 Blue Fox Heating & Cooling is the most trusted and reliable heater and AC service company in Lafayette. Family-owned-and-operated, our customer’s satisfaction is our number one priority. We provide repairs, installations, and replacements of residential, commercial, and industrial heating and cooling systems. We service all makes and models, including geothermal systems. Our technicians are specialized to handle water heater maintenance and repairs as well. Whether it’s a heat wave or a cold snap, you need your heating and cooling systems operating at an optimal level. When the weather in Lafayette is unpredictable, count on Blue Fox Heating & Cooling’s services to keep you comfortable. Blue Fox Heating & Cooling is built on three principles: honesty, integrity, and quality. As a family-owned company, every one of our Lafayette customers is treated with utmost respect and compassion. We want to distance ourselves from our competitors by providing only the services you require- nothing more, nothing less. We promise to never sell you anything you do not need. To emphasize this customer commitment, we offer free estimates, complimentary second opinions, and 24/7 emergency services. We provide convenient financing options for any budget, and our team of professionals is bonded and insured and possess five HVAC industry certifications. Hot or cold, we are here for you in your time of need. West Lafayette and surrounding areas.